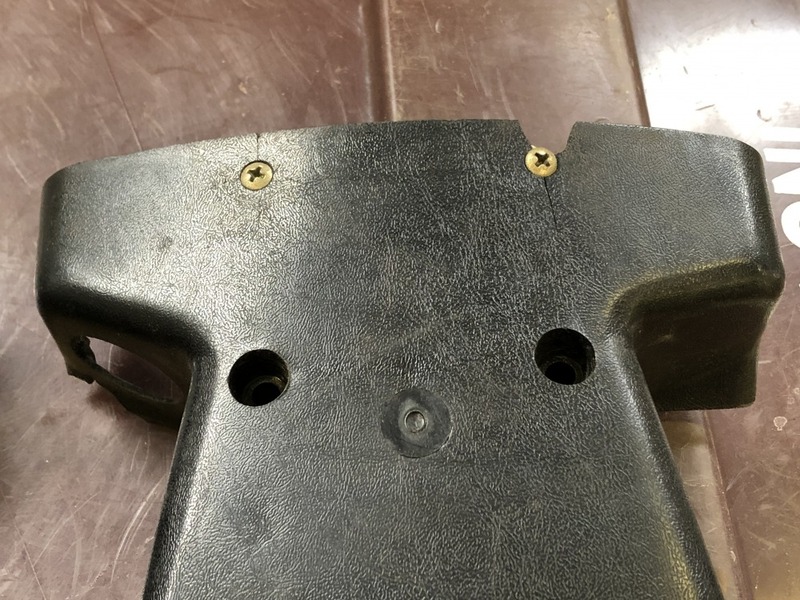 Under steering column plastic trim. There are a couple cracks and on small broken area near where the ignition switch is. $25 shipped in contiguous USA. Yes it is still available, PM sent.